Facebook advertising's latest makeover could raise new unease about privacy, tracking and snooping by the popular social networking site. Consider: Facebook already has more information on you than your own mother, and now it can serve up ads nearly custom-tailored to you on web pages when you're off Facebook. The social networking site last week began testing Facebook Exchange (FBX), which allows advertisers to buy Facebook ads that target its users off-Facebook browsing activity. Previously, the ads displayed on Facebook would be based on users "Liked" pages, the interests they put in their profile, one's location, and other info that users chose to share with Facebook, on Facebook. Now, advertisers can serve up Facebook ads to users based on the pages they visit other than Facebook. Facebook Exchange will let advertisers deliver real-time ads to Facebook users who have received their cookies somewhere else on the Internet. This process delivers relevant ads to Facebook "customers" who have already expressed an interest in a particular service or product they were exploring on another site. The example used by Facebook is a consumer searching online for a flight to Hawaii who doesn't pull the trigger and actually book the flight. With Facebook Exchange, a travel website observing that consumer's actions via cookies, can bid for the opportunity to retarget that user, showing them a related ad on Facebook. It'll be right there, staring them in the face: "Dude, we can get you to Hilo and back for only $684!" The ads, expected to be available in the next week or two, will be sold in a real-time bidding process. They could appeal to small businesses seeking to build brand identity, website traffic, and relationships with customers who may be interested in their products or services. FBX means users might see more ads for things they actually want to buy, rather than a slew of ads that hold no interest to them. But this new ad vehicle could raise new concerns about privacy, tracking and snooping from an online entity that already has more information on you than your own mother. Although Facebook isn't currently combining off-Facebook advertising data with its massive database of personal info, it's possible that it will in the future, and that concerns many people, including Sarah Downey, an attorney and privacy analyst based in Boston. "Given the pressure they're under to profit post-IPO, and given that advertising is 85 percent of their revenue, they'll need to capitalize on every avenue they have," said Downey, whose company, Abine, makes the online privacy tool DoNotTrackPlus. "The last thing anyone wants is Facebook gathering even more data about them." And Downey's sentiment appears to be shared. Facebook's users were recently asked to vote on the company's new Data Use policy earlier this month, and while 87 percent of voters opposed the new policy -- which contains revisions allowing Facebook to launch FBX -- not enough users cast votes, making the results "advisory," not "binding" on the company's future actions. 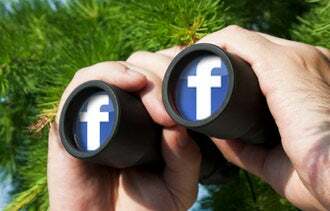 For its part, a Facebook spokesperson says by email that there are numerous existing third parties that help advertisers to do the same thing that FBX does, and that Facebook users will still have the same control over the ads they see on the social utility today.